With that cable in place, the so-called peering deal linking Google's global internet backbone directly to Cuba's local network would allow Cubans to connect faster to content hosted on Google servers. 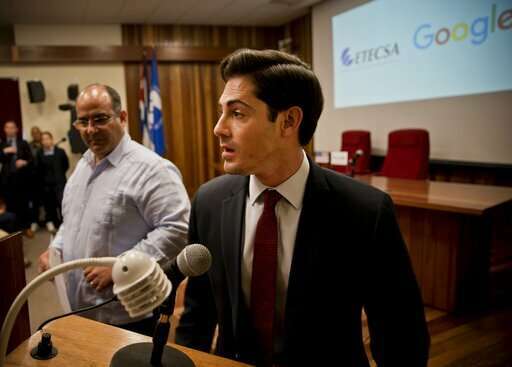 It would also reduce the Cuban government's cost of connecting users to Google content. 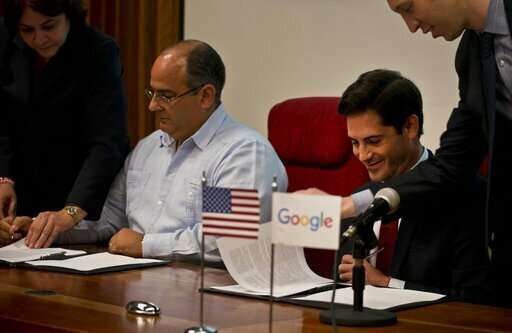 "We are excited to have reached this memorandum for the benefit of internet users here in Cuba," Brett Perlmutter, the head of Google Cuba, said before signing the deal. Cuba currently has a single fiber-optic connection running under the Caribbean to Venezuela that has been unable to provide the island with sufficient capacity to support its relatively small but growing group of internet users, for reasons never disclosed by either country's socialist government. Thursday's deal will have no immediate effect on the ease of connectivity in Cuba, and neither Cuban nor Google officials provided any estimated timeline for the island's connection to a new fiber-optic cable. That step could take years given the slow pace of Cuba's bureaucracy and the obstacles thrown up by the U.S. trade embargo on the island. The embargo does contain legal exceptions allowing deals to increase telecommunications capacity in Cuba, which makes Google's work possible. Cuba already allows Google to run servers on the island storing Google content such as YouTube user information, a measure that has significantly increased the speed of accessing that content for Cubans. Cuba is rapidly leaving behind its status as one of the world's least-connected nations, but its telecommunications infrastructure has been overwhelmed by millions of new users and service suffers from constant interruptions, slowdowns and some of the most expensive rates in the world, particularly for amounts of data beyond a few gigabytes per month. This agreement telegraphs a change in Cuban policy — now we need the cable. The cable has been stopped by politics, not economics or technical difficulty. 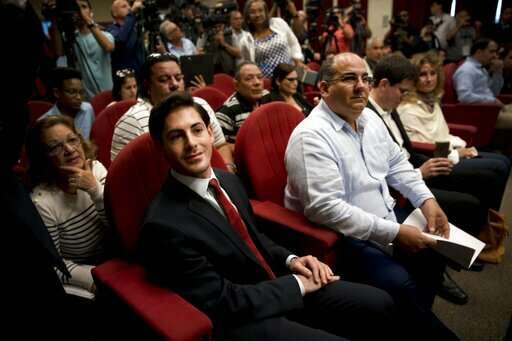 It looks like Cuba is willing to relent on politics. Trump's fighting this cable would solidify Cuba's political and commercial ties with China and Russia.